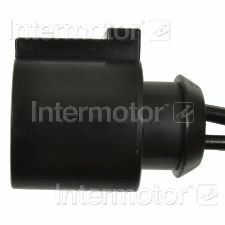 Showing 1 - 7 of 7 Products for Oxygen Sensor Connector. Offering hundreds of high-quality pigtails & sockets for nearly every electrical job. Utilizing high grade materials to ensure peak conductivity and perfect connections. Decades of industry leading research and development focused on meeting the technician's needs. With industry leading expertise, when original equipment fails our products are designed to fix the inherent failure issues. 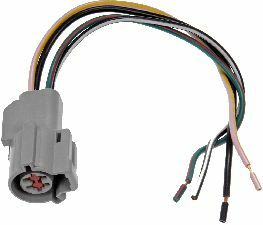 High-quality direct replacement electrical connector allows you to replace only the damaged connector instead of the entire harness for a cost-effective repair. The terminal is manufactured with high grade materials such as copper alloy, brass, and phosphor bronze.Â The housing is fabricated using polyamide resins.Â All of the materials together provide the connectors with prolonged life and superior performance in harsh environments. 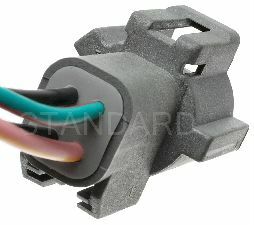 All electrical connectors are 100% tested for proper mechanical and electrical fit, form and function. Offering thousands of high-quality pigtails & sockets for nearly every electrical job. Overall Length (In): 8.66 In.